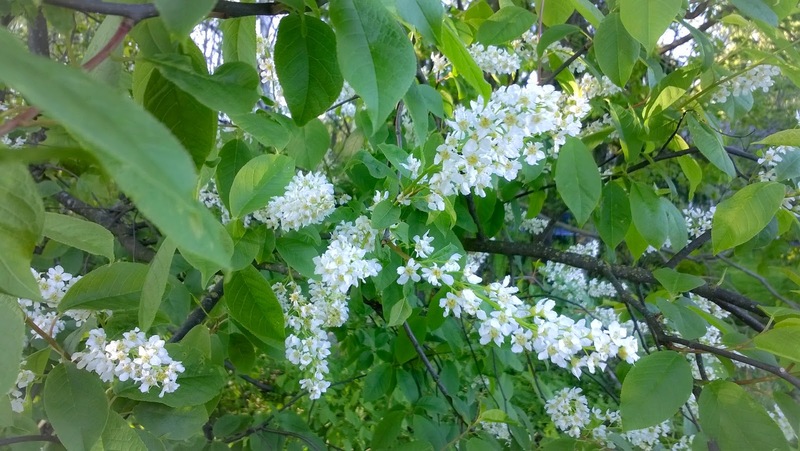 Hackberry is nicely blooming, it's sweet scent floating in the air. 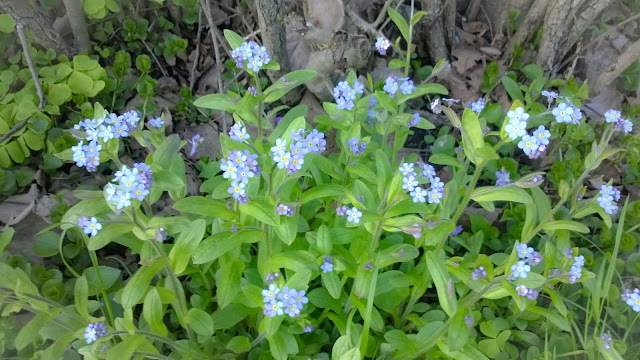 Forget-me-nots are growing along the edge of the sidewalk. 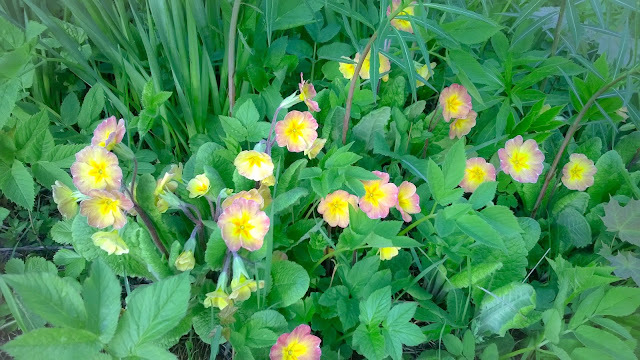 Primroses have popped up in our backyard flowerbed.